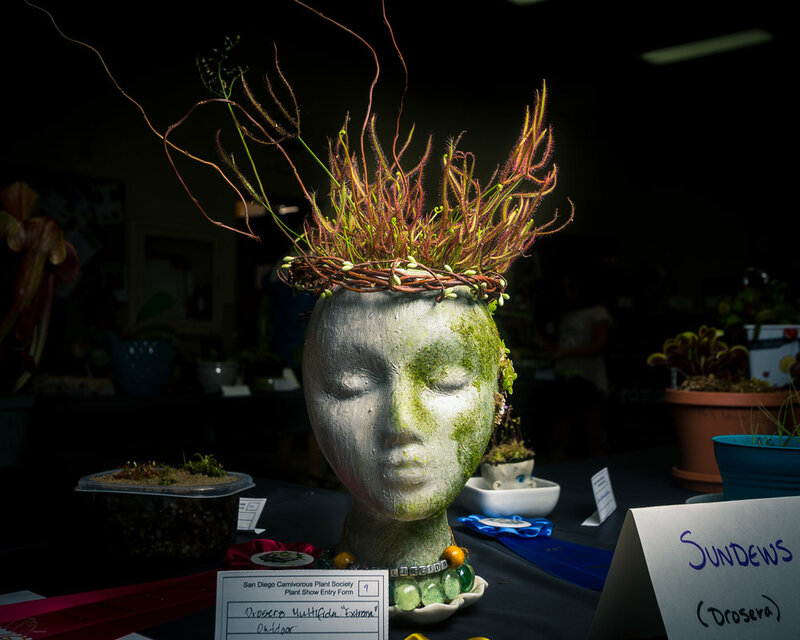 May 2017 Balboa Park Fiesta Botanica Event pictures contributed by SDCPS member Francis Bauzon. 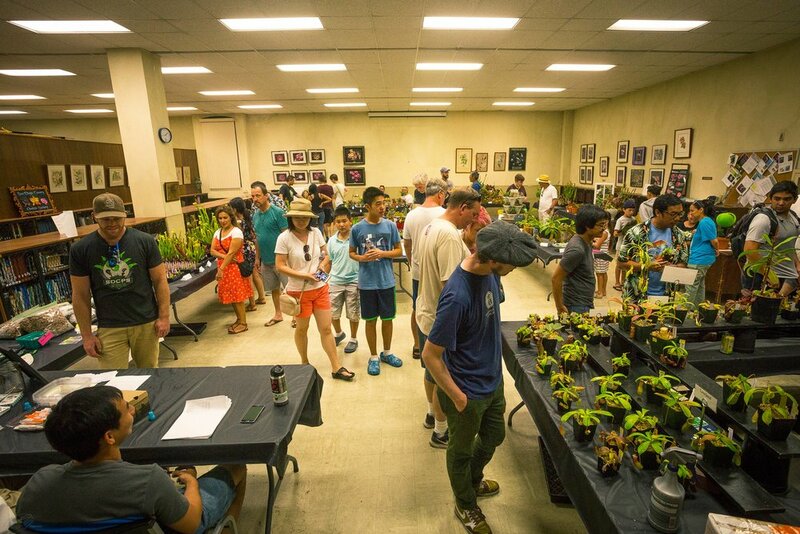 Our second annual Sale & Show was even larger than the last! 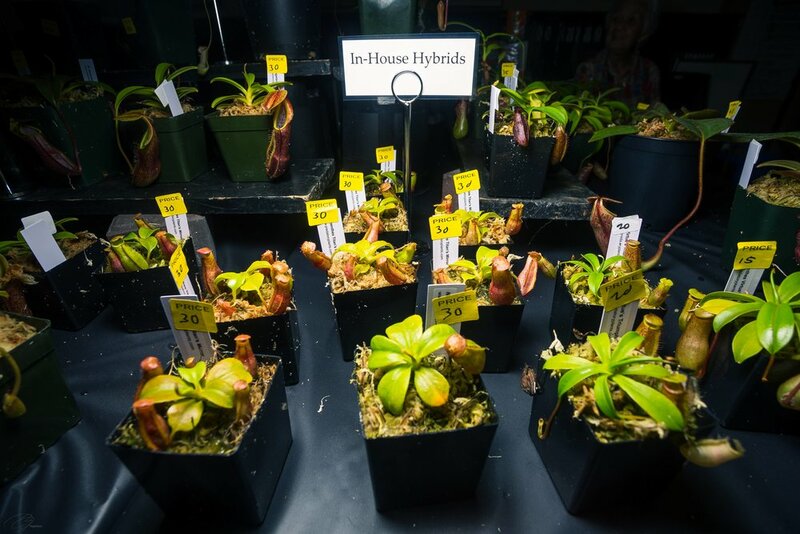 We showed our most prized plants, sold several plants to many including those just learning about carnivorous plants to experts, and shared fun and educational displays and presentations. 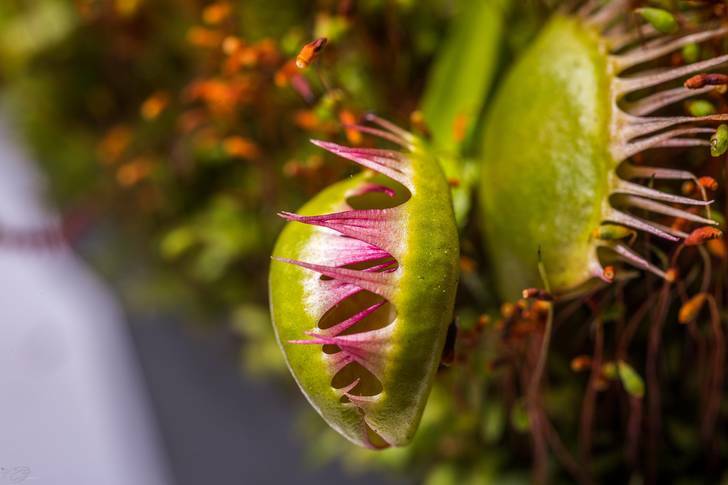 Thank you to Predatory Plants, Xtreem Plants & Jeff Greene for participating! Thank you to all SDCPS and LACPS members who made this event possible - we can't wait to see you at the July 2018 Show and Sale! 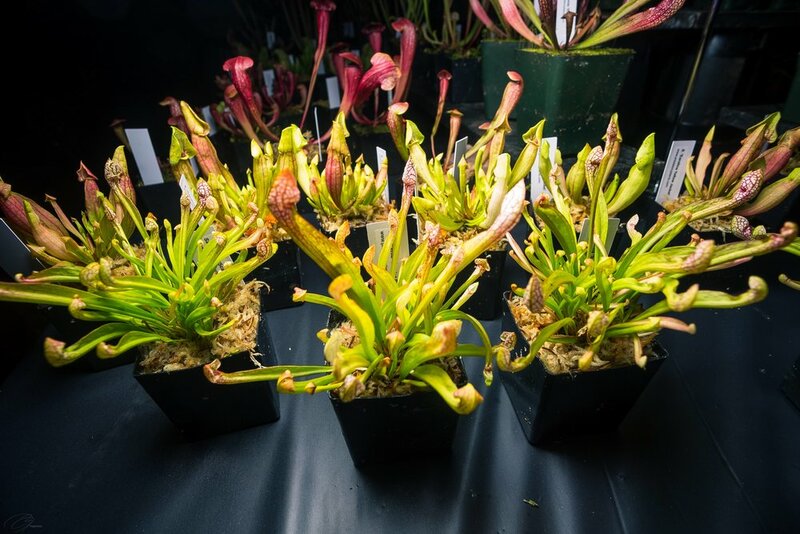 July 2017 Sale & Show pictures contributed by SDCPS member Francis Bauzon. Every meeting seems to outdo itself. This was especially true of the March meeting, where Mike Aronesty from SouthBay Traps was our much anticipated special guest! 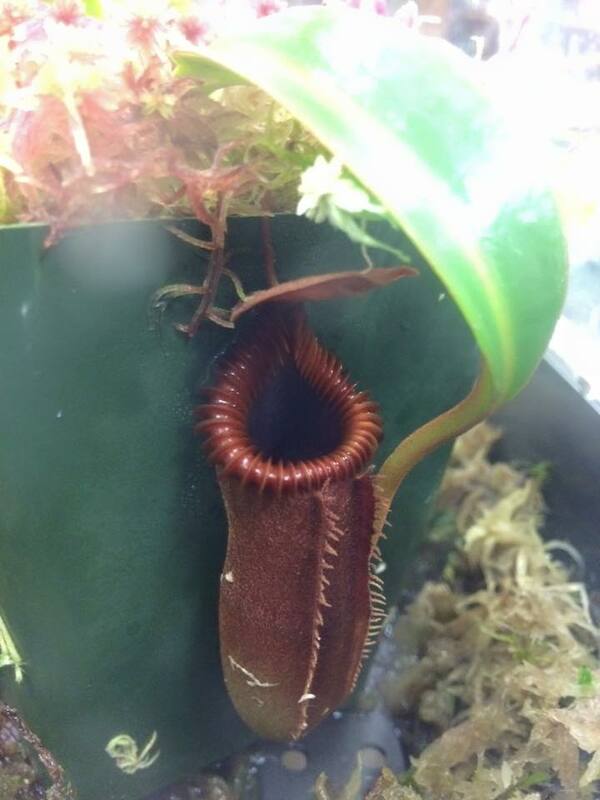 Mike gave an awesome presentation on his quest to seek out Nepenthes in the wild AND brought many of his fantastic plants to sell. Special shout-out to Stacy too! If you weren't able to make the meeting, we highly recommend you check out SouthBay Traps online, or plan on attending our July Show & Sale! Thank you to the LACPS members and other out-of-towners that made the drive for this extraordinary meeting. We are continuously amazed to see so many new people! 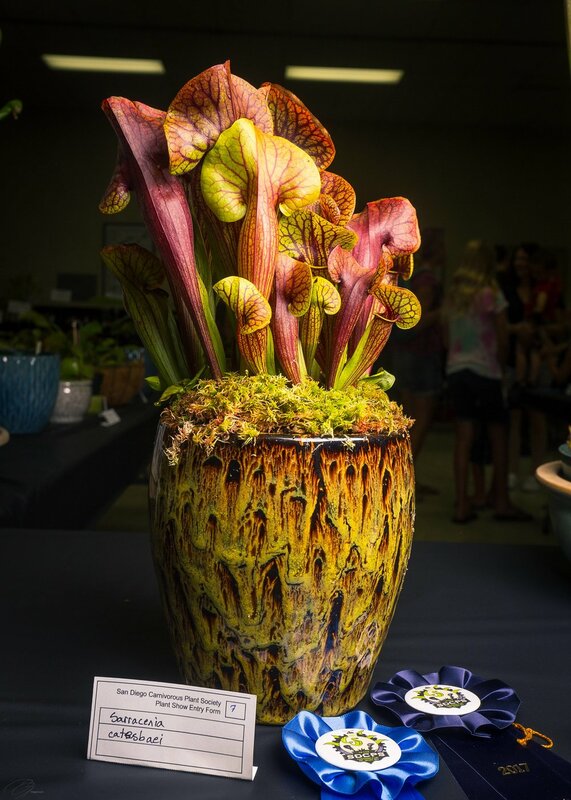 We are still accepting participants for our July Show & Sale. Please contact us if interested. March meeting pictures contributed by SDCPS member Francis Bauzon. As we head into our third year, continuous growth kicked off the first meeting of 2017 with more new members! 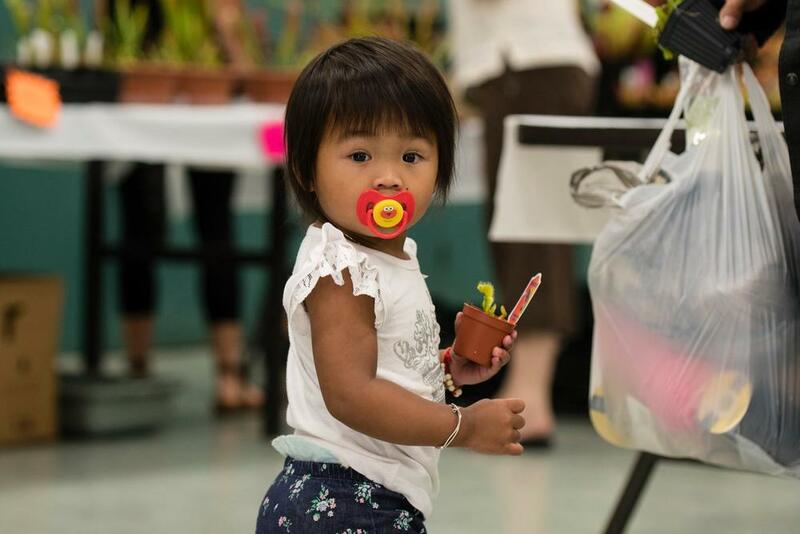 We also saw returning faces from last year's Sale and Show..confirming that our community outreach is working. Even better is watching previously new members become experts and pay the interest and information learned forward....hearing people leave the meeting with nothing but compliments for what our group does is THE biggest reward! 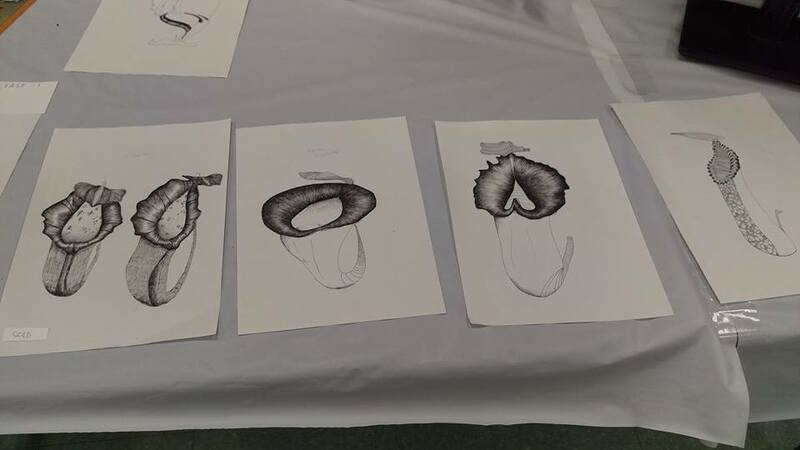 Up first was Kirsten Rindal, student of the Royal Botanical Garden of Edinburgh, working towards her Botanical Illustration Certification. 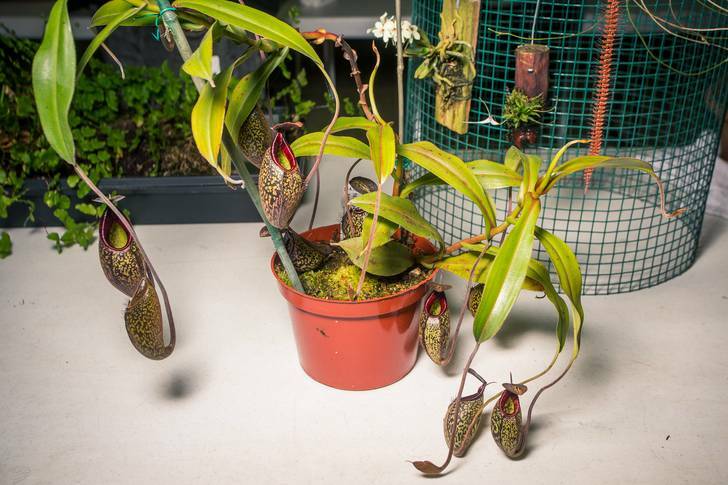 She chose carnivorous plants to study and showed off her progress with us. 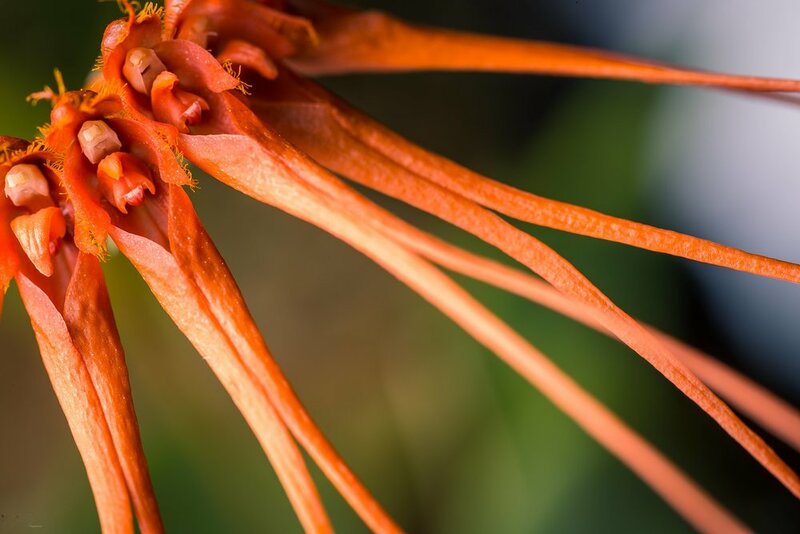 We knew caring for these plants takes patience, but her illustrative study completely wowed us all! We look forward to see the coloring and completion of her labor of love in the upcoming months. 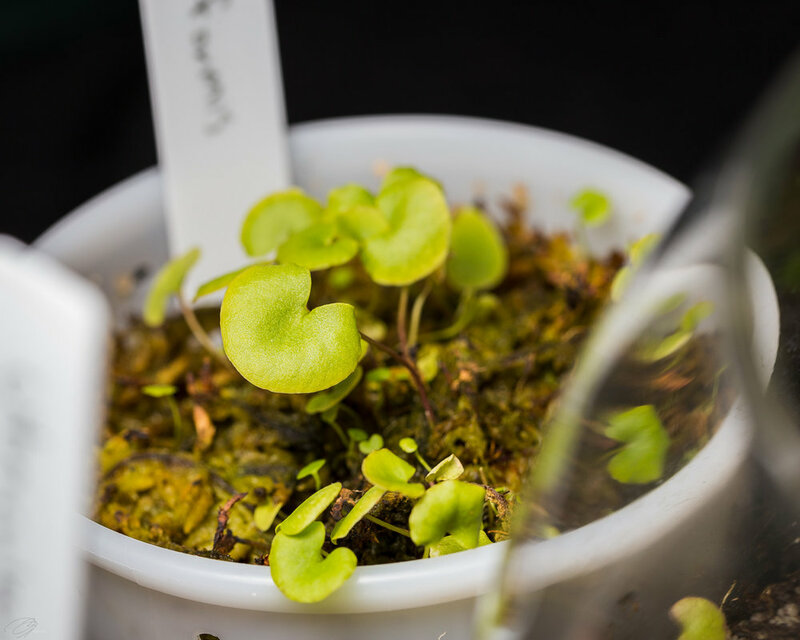 Special thanks to SDCPS member Kirk Trimberger for opening his greenhouse up to Kirsten for her studies! Next up was discussion of the upcoming July Show & Sale. It's time to look forward and make our second annual event even better than last year's. We plan to streamline member selling, are currently soliciting expert judges, and are working towards the Show flyer design. Volunteers, participants, and sellers should reach out to SDCPS member Halia Eastburn now so planning can be appropriately accommodated. 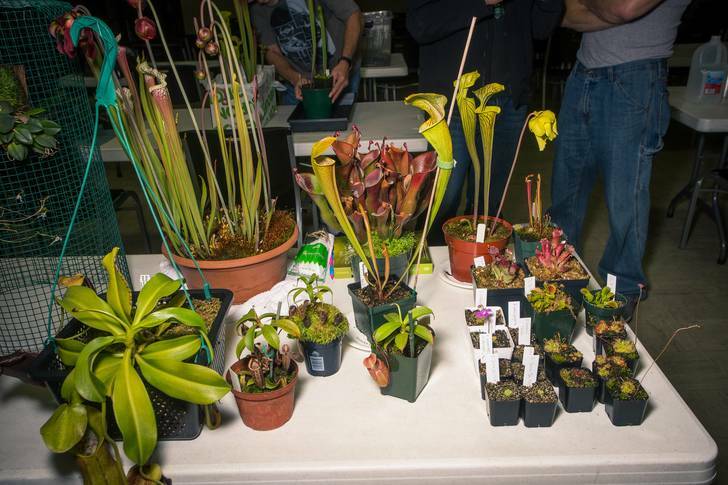 This was also the second year that our Oregon SDCPS member Jeff Greene generously donated plants to the January meeting. 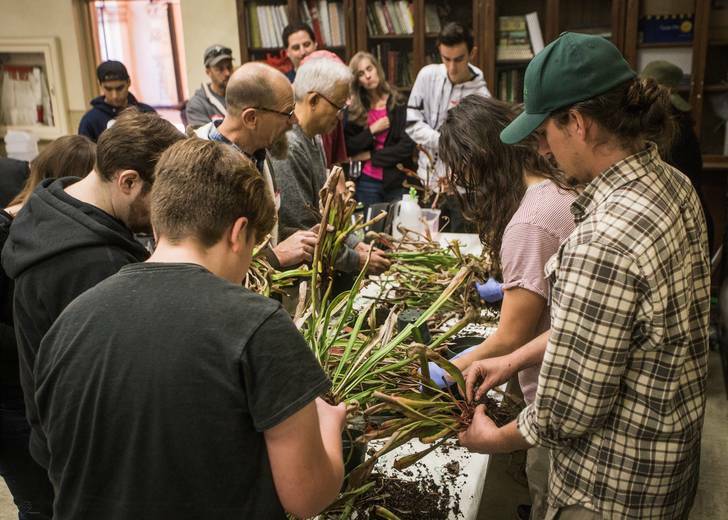 Halia and Trevor Adler took the helm and showed new members how to divide and pot Sarracenia. A special thanks to the two of them for also donating the pots and media; can't beat free potted plants and a private how-to tutorial!! January meeting pictures contributed by SDCPS member Francis Bauzon. 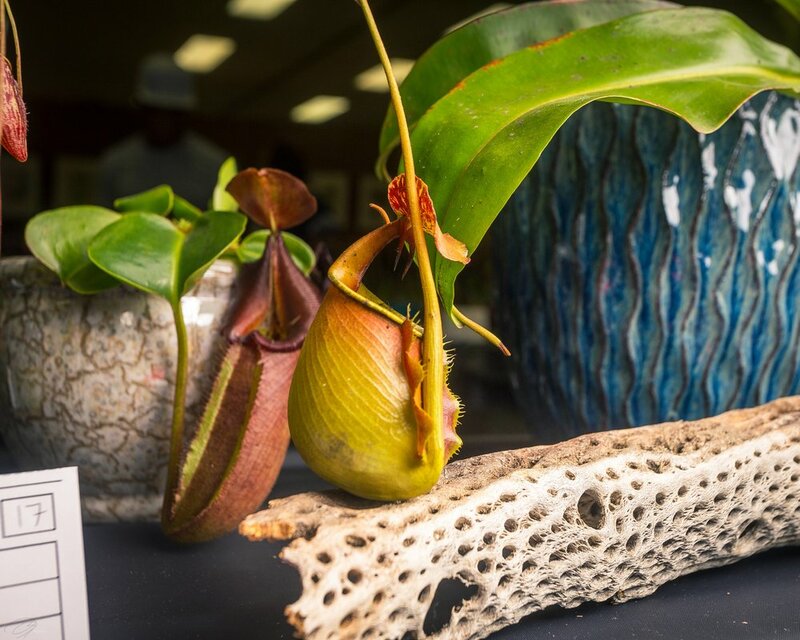 Our first Sale & Show was an event not to be missed! 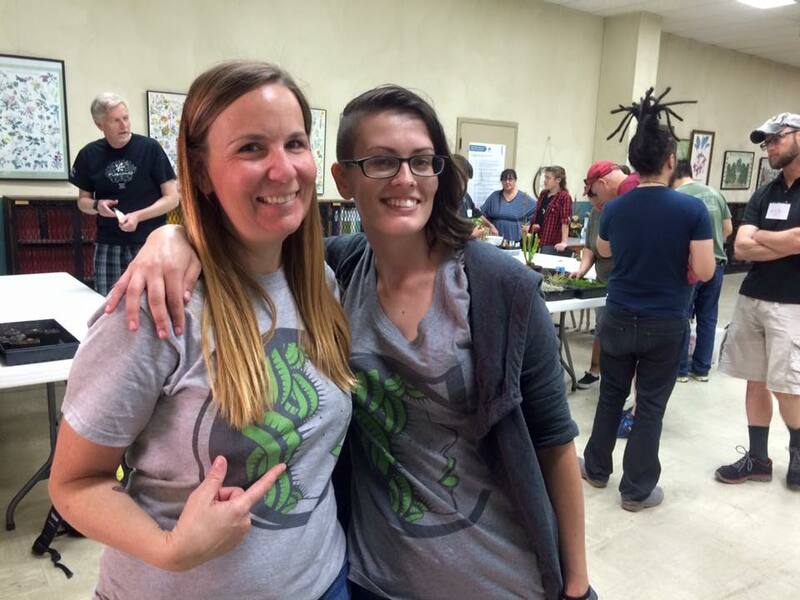 We showcased our best, shared and sold to those curious, and got a chance to collaborate with some fun vendors. 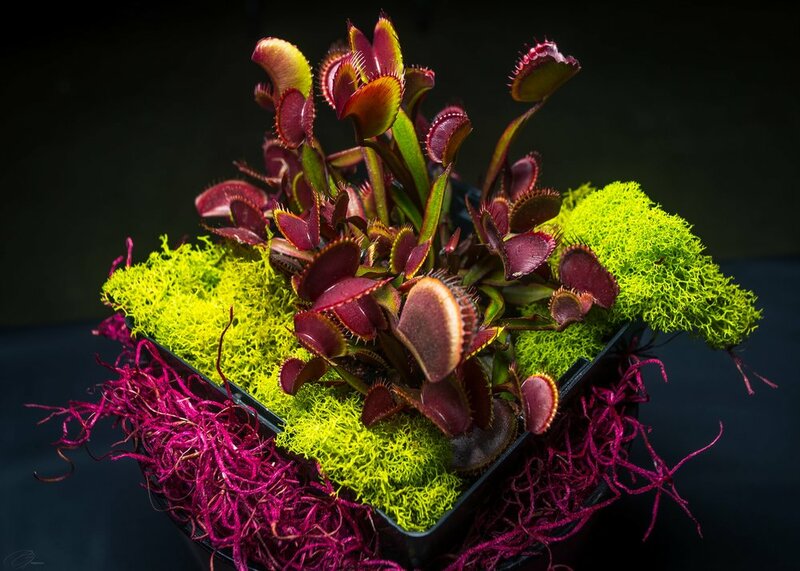 Thank you to Predatory Plants, Xtreem Plants, Dark Horse Carnivores, Wine Country Carnivores & Exotic Botanical Designs for participating! Thank you to all SDCPS and LACPS members who made this event possible - we definitely made a connection with our community in an awesome way! 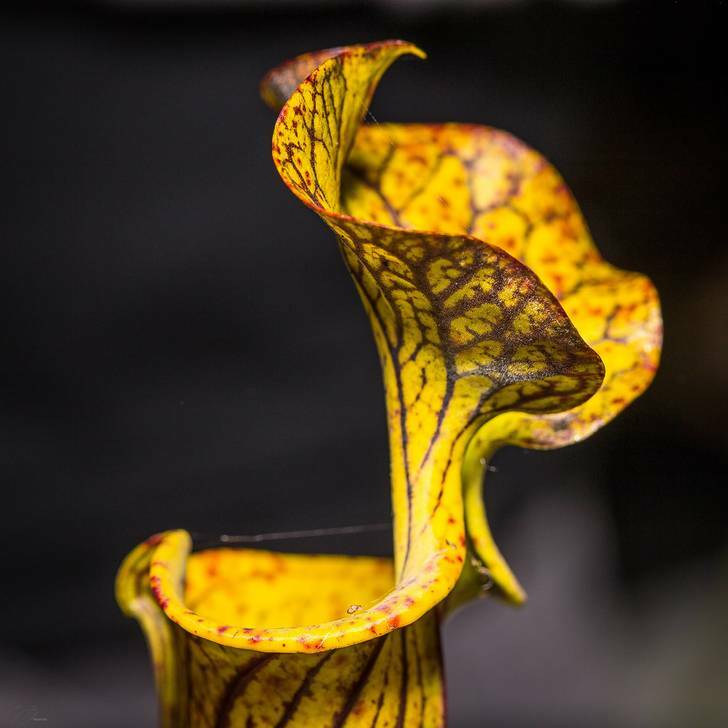 Check out an awesome review of our event by The Horticult: "Fly Life: Carnivorous Plants Come Out for #SharkWeek"
June Sale & Show pictures contributed by SDCPS members Robert Carter Chun and Sean Sadler. 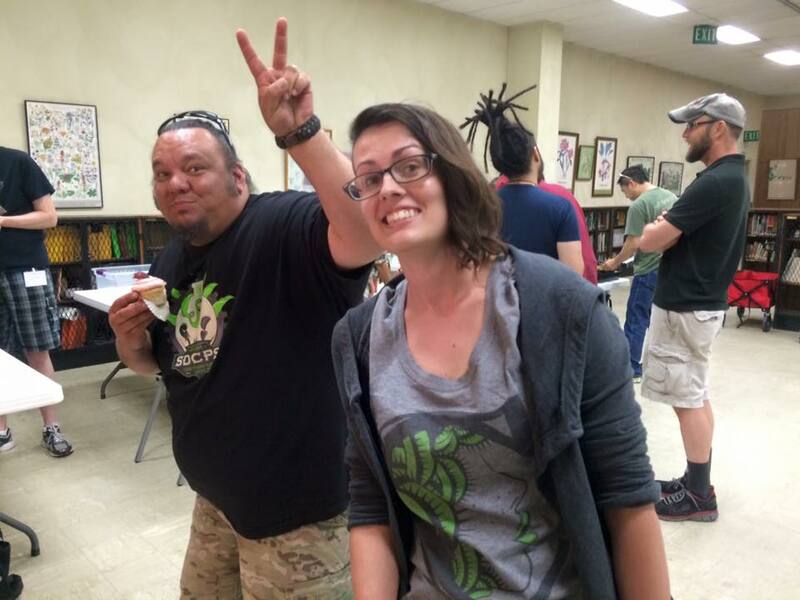 BACPS member and one of our favorite CP bloggers, Maria Fulmer aka The Carnivore Girl, was March's guest speaker! 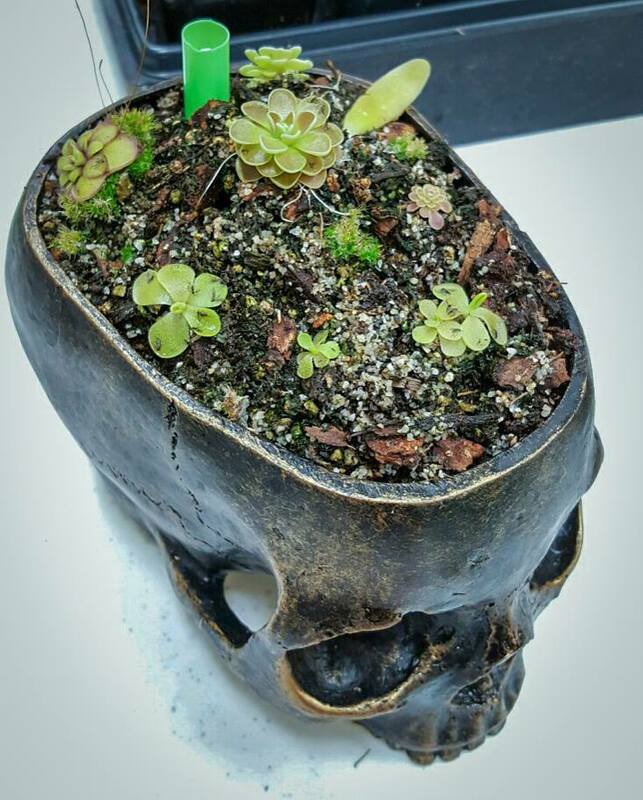 Not only did she bring some of her awesome swag (if you don't have a dollhead or teacup Drosera by now you MUST visit her online shop! 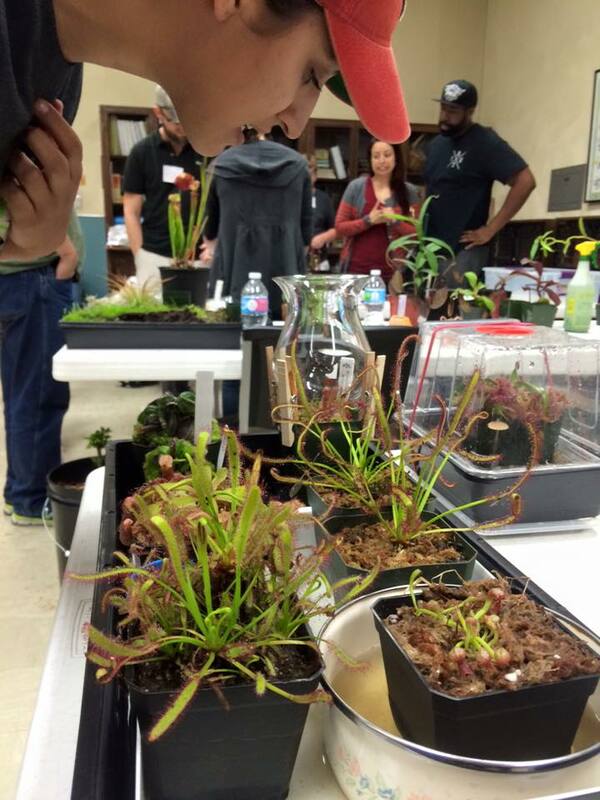 ), but she gave an informative presentation on soil mixes, repotting, and Latin pronunciations to boot. What can we say - we're all part of the collective fandom here in San Diego! 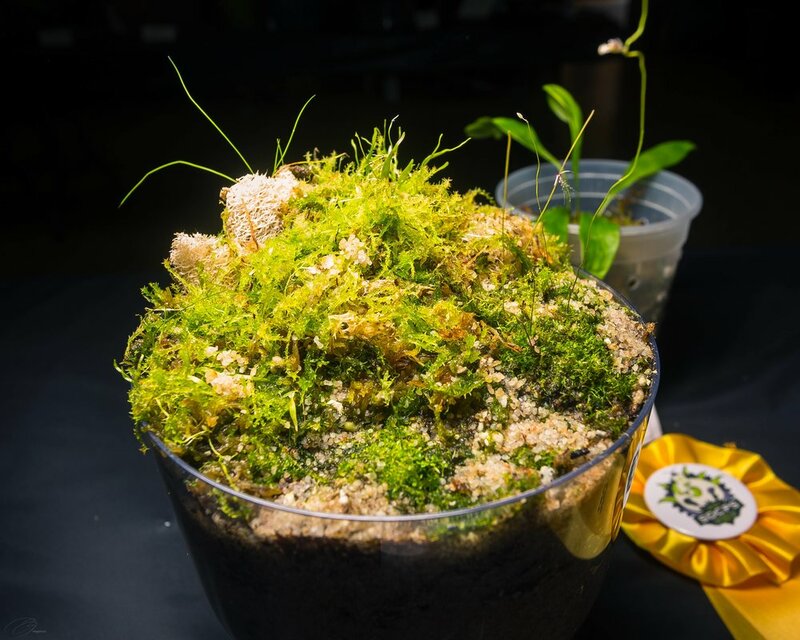 We also got to take home the Sarracenias from the starter tray Damon Collingsworth gave us at our September meeting (the *magic* worked!). 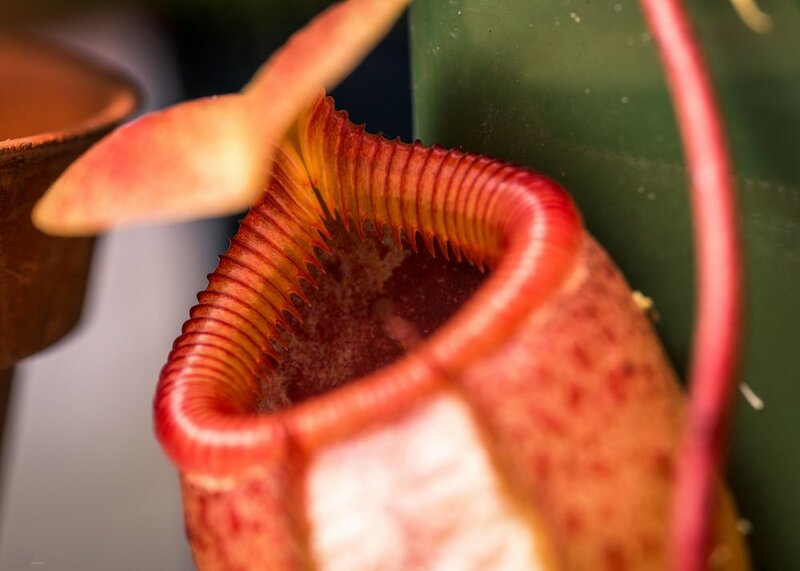 If you were at that meeting but didn't get a plant, let us know. March meeting pictures contributed by SDCPS members Trevor Adler and Allyson Long. 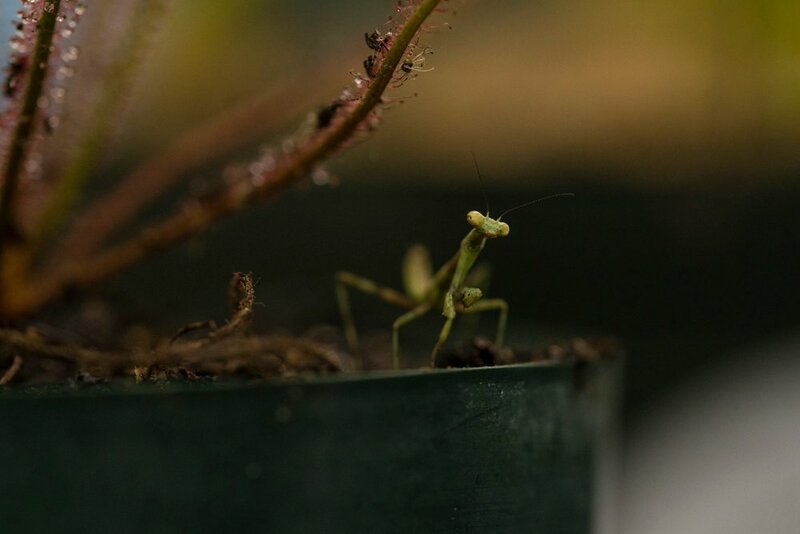 First meeting of 2016 was on the topic of plant divisions. 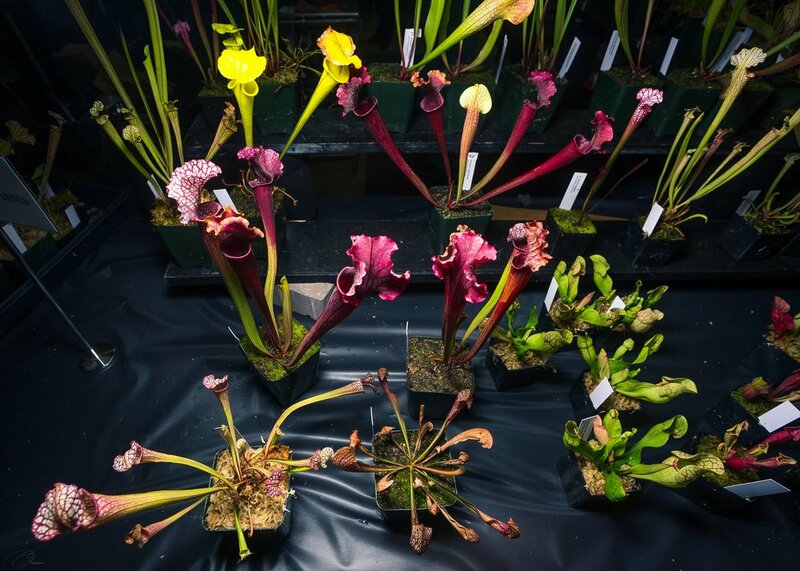 SDCPS member Sean Sadler took the helm and gave fantastic live demos on Sarracenia, Darlingtonia, and Nepenthes. 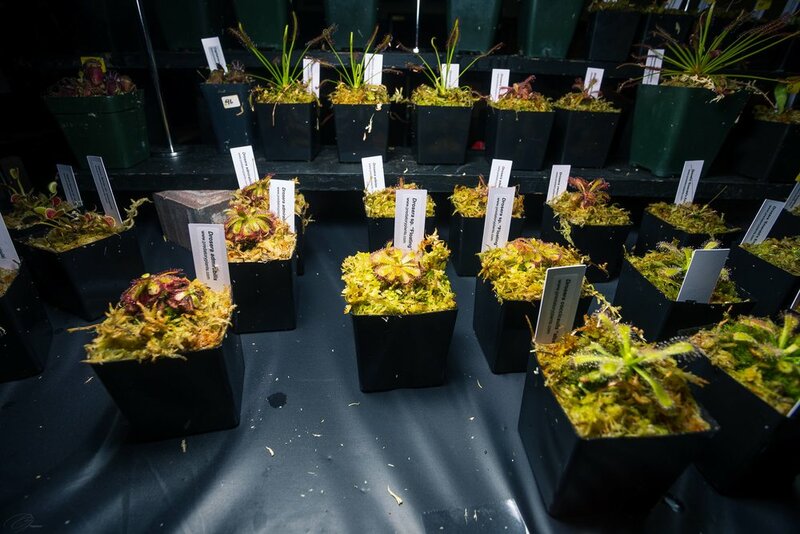 Jeff Greene, friend to SD Zoo's Judy Bell, generously donated plants (and pots) for everyone to practice divisions on, AND to take home! Best meeting to date! 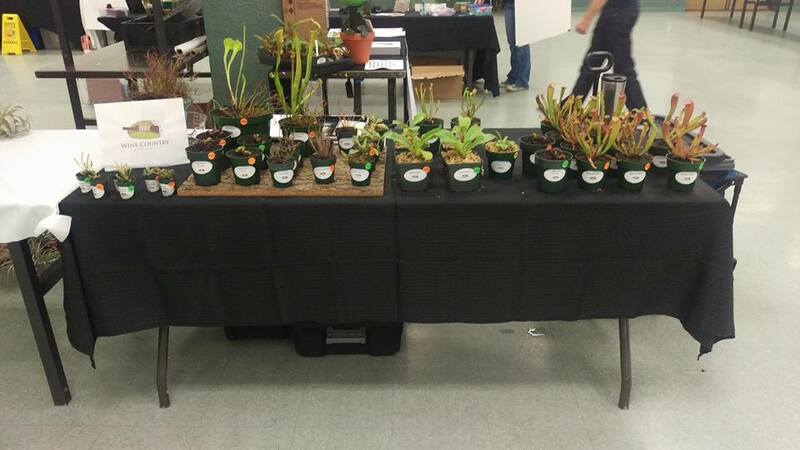 Special thank you's to everyone who brought in additional practice plants, opportunity table plants, potting materials, tools, RO water, snacks, and made the drive from our sister group LACPS. January meeting pictures contributed by SDCPS member Trevor Adler. Plants from Trevor, Josh and Corey. 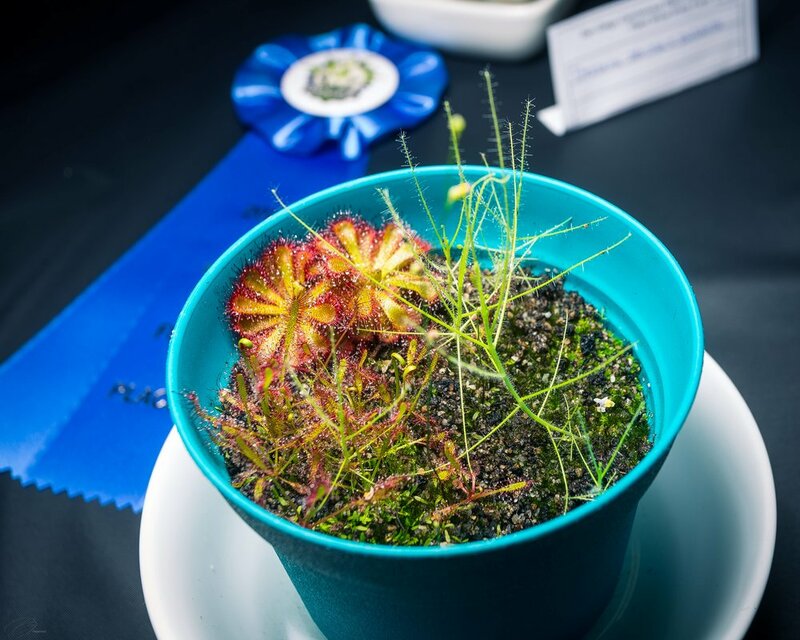 Adrian's Drosophyllum lusitanicum that was started from the seed given by SD Zoo's Judy Bell at the July 2015 meeting! Christian wheeling out meeting goodies (look at that awesome SDCPS shirt!). 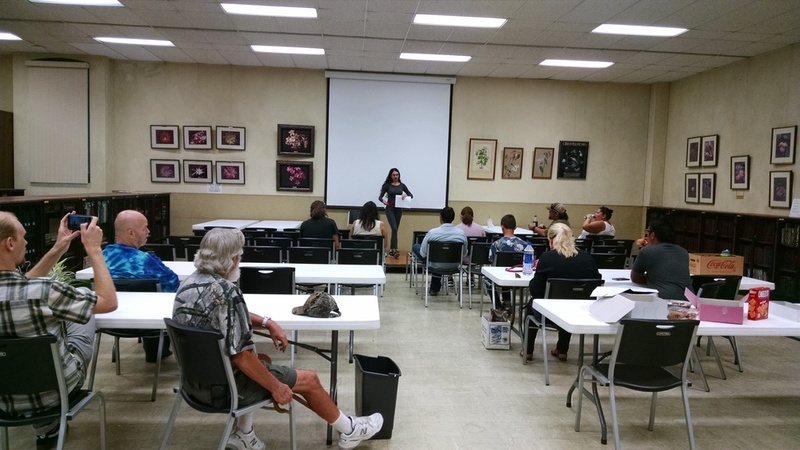 SDCP's first round table meeting to discuss 2016 schedule, events & ideas. Delegation of new roles for a bigger web and community presence was also successful. Thank you to all members who showed up - 2016 promises to be a great year for us! September meeting pictures contributed by SDCPS members Trevor Adler and Allyson Long. 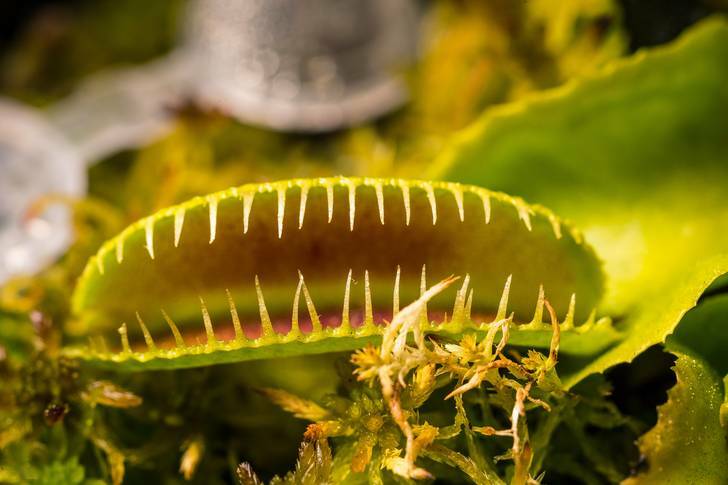 One of our favorite carnivorous plant heros stole hearts and lots of laughs! 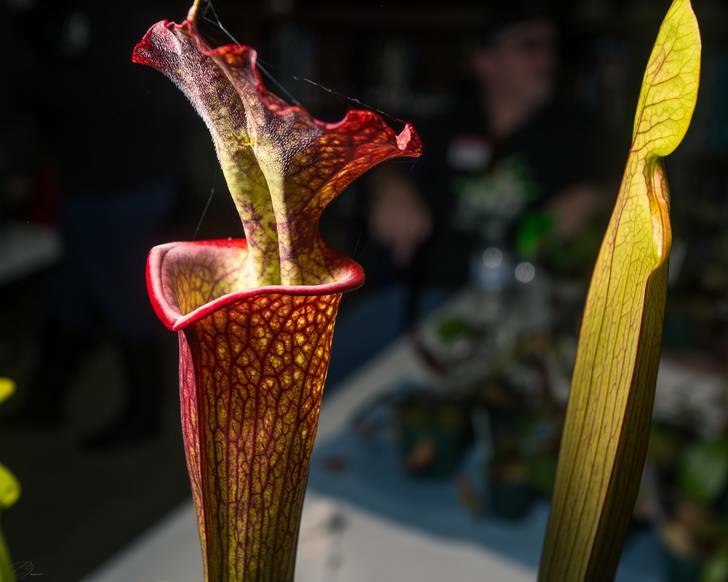 GINORMOUS thank you to California Carnivores' Damon Collingsworth for the awesome presentation on starting from seed AND giving the SDCPS a starter pot of Nepenthes and a tray of Sarracenia. This was definitely the biggest meeting turnout to date! 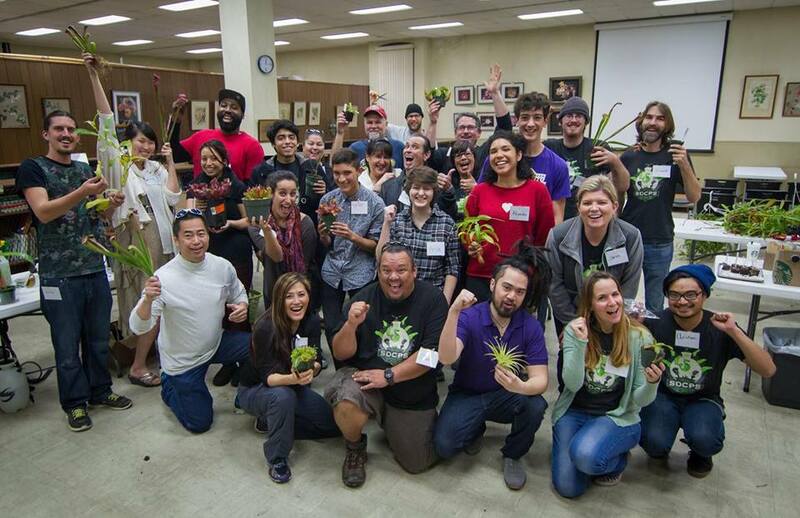 Thank you also to all the LACPS members that made appearances; the SoCal collaboration promises to be a sweet thing! More thanks to Ryan from Ryan Krason Design for our SDCPS logo! SDCPS swag will be coming soon! September meeting pictures contributed by SDCPS members Trevor Adler and Sean Sadler. 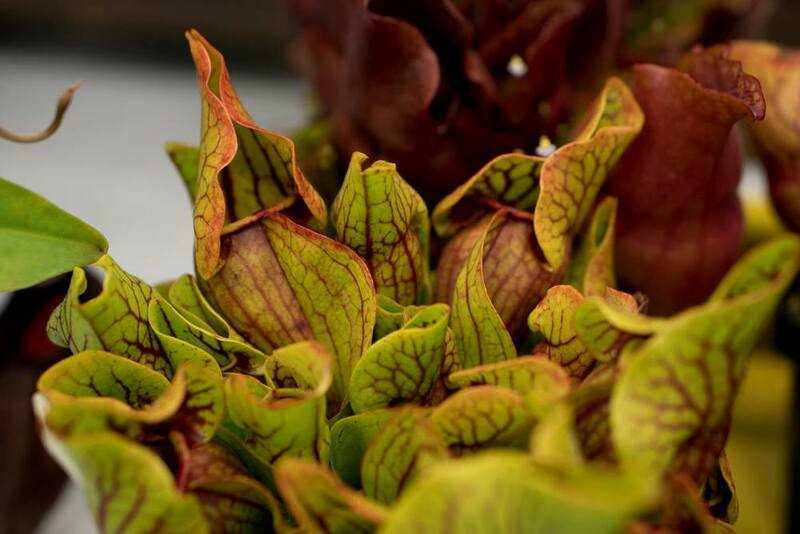 BIG thank you to San Diego Zoo Senior Horticulturist Judy Bell for the presentation on Carnivorous Plants and the history of the SD Zoo's bog! And for mixing in afterwards to answer member questions! June meeting pictures contributed by SDCPS members Moni Waiblinger, Robert Miles & Allyson Long. April meeting picture contributed by SDCPS member Trevor Adler.